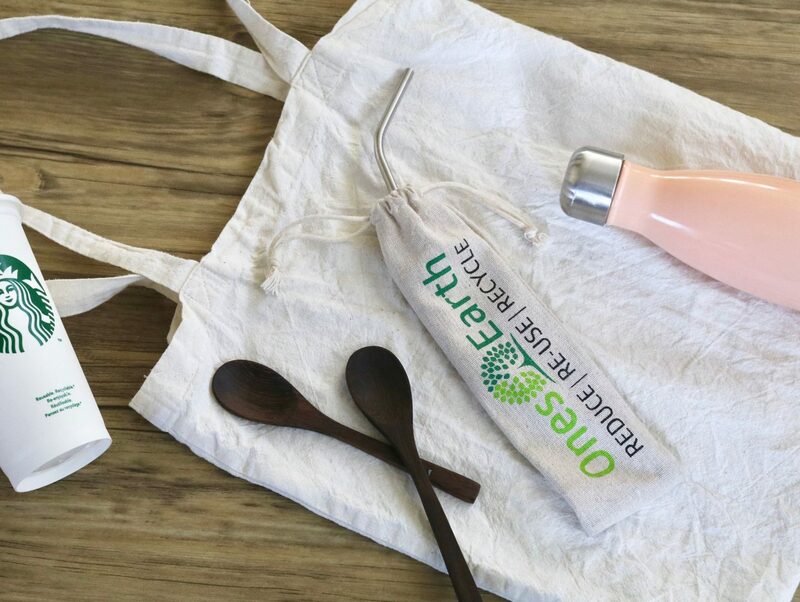 Whether you want to help the environment or make a personal change in your life (or both), becoming a bit more eco-friendly couldn’t be easier. 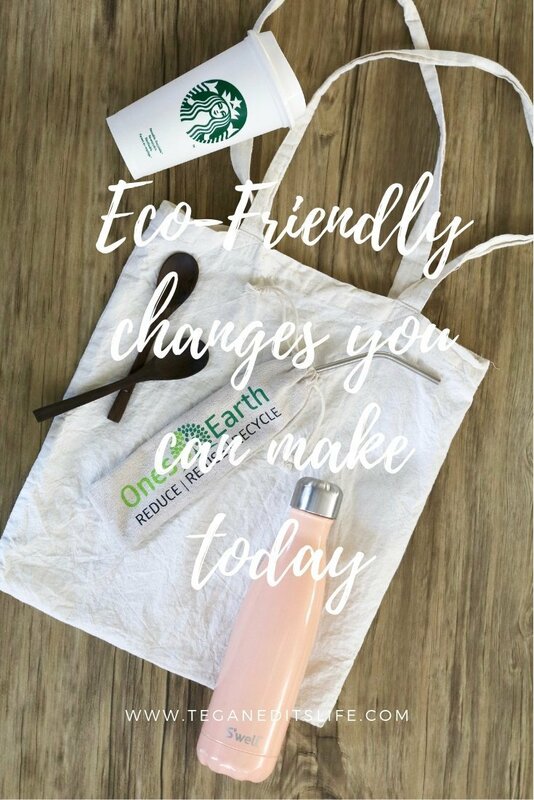 Starbucks was the first major coffee company that started to offer a reusable takeaway cup that’s not only affordable (only £1! ), but it also means you get 25p off every beverage when you bring in your own cup. Which basically means if you buy 4 drinks you’d be reimbursed for that reusable cup. What’s not to love? While it might be annoying to have to bring a cup around with you, I’ve never found it to be a problem. Yes it can be a little annoying to have to get used to at first, but after a few days I found it had become second nature. Or if you’re someone who mainly buys coffee when you’re driving, why not leave a reusable cup in your car. Of course Starbucks isn’t the only coffee house where you can to buy a reusable cup, Pret a Manger also do their own, as do Costa, and probably a few others. However you can buy a reusable cup from anywhere. Take a look on Amazon if you’re looking for variety and funky colours. Plastic water bottles are so 2016. You can buy reusable water bottles almost anywhere nowadays, but my top two brands are Swell and Chilly’s. I’ve tried and tested these bottles and can honestly say: they are amazing! Zero spills, keeps drinks cold for 24hrs and hot for roughly 12hrs. What’s not to love? Keep in mind: if you want to take one of these with you on holiday, make sure they are EMPTY. Otherwise airport security will probably have to dispose of it. Out of everything that’s made from plastic I think I hate straws the most. Like water bottles, straws are often used once and then thrown away. But you can reuse them – simply wash them and reuse. Or if you’d prefer to be completely plastic free why not invest in some metal or bamboo straws. I purchased my metal straws from Ones Earth off of Amazon (here). I take these everywhere with me, and I can’t believe how handy they have been over the past 6 months. There’s not metal flavour when you use them, although they do get very cold when using them in any drink that has ice in it. 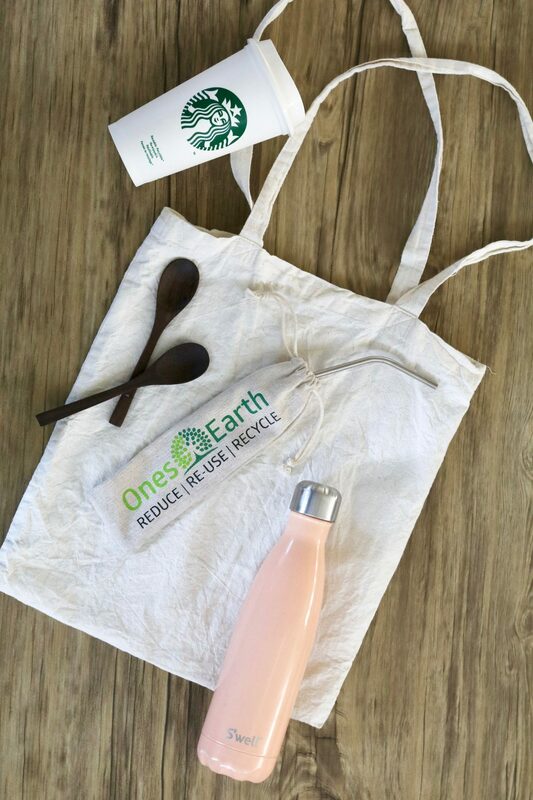 The metal straws by Ones Earth come in a handy pouch, making them easy to travel with, and also a straw cleaner so your straws can be easily cleaned. I’ve been using a canvas tote bag I got for free from Topshop in 2012 that I keep in my bag at all times for shopping so I don’t need a plastic one, and oh boy is it staying strong. Canvas bags are hard to break, unlike regular plastic bags, even when I’ve filled them so much they look like they could burst, they survive the journey home. Additionally, canvas bags are usually made so they can go on your shoulder, so there’s less risk of getting numb hands from carrying your food shop. If you’re looking for a helping hand or want to join a community of like minded individuals, then head on over to Facebook and look up a group created by Zanna van Dijk called Living Consciously Crew. It’s a place where you can go to learn, to ask for some tips / recommendations, and connect with people from all over the world. If you want to keep up-to-date with my posts you can sign up to my email subscription which is located at below at the bottom of the page on the left. This is a great post! Since november i’ve cut out one use plastic, stopped using face wipes and changed to a muslin cloth and i never ever buy bottles of water anymore! That’s great! I don’t use face wipes anymore either. I started doing all of these things (minus buying the reusable straw that’s next) and I love making an impact. I try to get everyone on board with these!